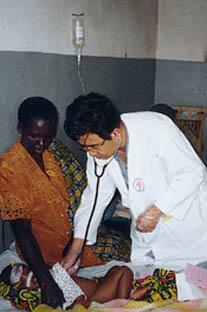 China has been actively involved in health diplomacy since the founding of the People’s Republic of China (PRC) in 1949. In addition to the changing international environment, dominant ideologies, and foreign policies over the past sixty years, health diplomacy in China has also experienced strategic shifts, which can be categorized by different periods: 1. Period of “Leaning to one side” diplomacy and the advent of health cooperation between China and the Soviet Union (from the founding of PRC to the end of the 1950s); 2. Period of “Fight against the hegemony of two superpowers,–the US and the Soviet Union” and the initiation of medical teams to Africa (from the end of 1950s to the end of the 1960s); 3. Period of “Uniting with the US against the Soviet Union” and the beginning of multilateral health diplomacy (from the end of the 1960s to the end of the 1970s); 4. Period of “Pragmatism” in foreign policy and pushing forward of comprehensive health diplomacy (from the end of the 1970s to the end of the 1990s); and 5. Period of “harmonious world” mentality and thriving of comprehensive health diplomacy (from the year 2000 until now). At present, China is actively involved in international health affairs, activities including cooperating with international health organizations, expanding inter-governmental health cooperation, and pioneering – non-governmental health diplomacy. Such shifts indicate that health is occupying an increasingly important role in diplomacy, and that diplomatic tools are being utilized to solve health issues. China, with its growing national strength, should attach more priority to the development of health diplomacy, and should be more responsive and active in the global health arena.